Labor Day is a traditional shopping weekend for many people. Here at BillCutterz we love to share advice so you can find the best bargains and save as much of your hard-earned money as possible. Back to school deals are still in effect on computers for Labor Day. Apple offers educational discounts with an .edu email or through many college websites. Many electronic stores will also have great pricing and price matching can save you even more. If you have older electronic items you are tired of, you can trade them in for cash or gift cards to apply towards newer technology. Sites like Gazelle and BuyBackWorld are great for cash, and Apple’s recycling partner offers Apple gift cards. Amazon also accepts electronics for trade in towards a store gift card. 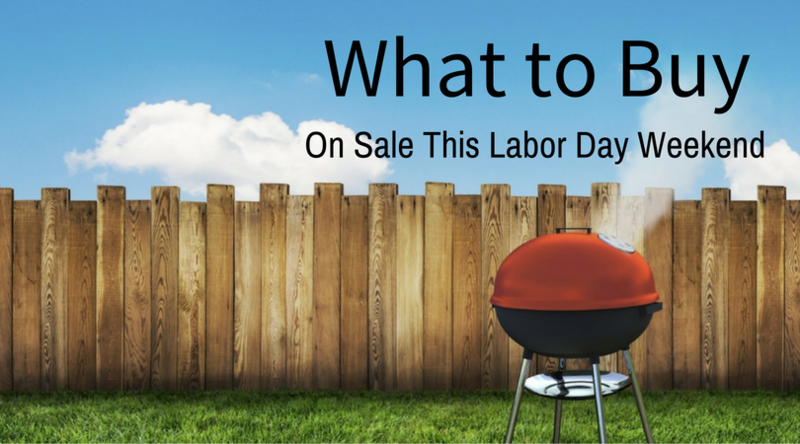 You can find grills and patio furniture on sale this weekend; retailers need the floor space to start setting out holiday merchandise. There should still be a decent stock to choose from, and there is still time to enjoy the outdoors for a bit longer in most of the country. Check your local big box stores for appliance sales this weekend and the rest of the fall season. New models are coming out, so many items are marked down to make room. Floor models will be available for a discount as the newer models start to arrive. Check to see if stores price match each other if one store is more convenient to you. Don’t be afraid to negotiate the price at local stores because they have more leeway than chain stores. The same goes for mattresses and bedding, so now is a great time to get a new mattress for the guest room for holiday visitors, or get a new bed for yourself and move yours to a kid’s room or the guest room. Labor Day weekend is traditionally a time for new car shopping. Like appliances, new models are getting introduced in the next few months, and old stock needs to be sold off. Often it seems the best deals are with dealer financing and incentives, however with your own financing in place, you can negotiate the price more accurately. Motorcycles, RVs, and travel trailers will also have year-end savings on older models. You might not realize that wines will drop in price, but new vintages are generally released in the early fall. That means some varieties might get marked down to make room for newer wines. As a result, if you are lucky enough to live near a winery, fall is a great time to visit and stock up. Don’t forget to ask about case discounts and wine club pricing! We enjoy saving money here at BillCutterz, so if you have any other ideas or questions feel free to share in the comments below. Don’t forget to visit our other blogs for upcoming holidays and tips on how to save money! It’s always money saving season as far as we are concerned.